Join CSI Fresno at it's Annual 2019 Product Show on Thursday, April 11, 2019 at the Clovis Veterans Memorial Building in Clovis, California! Invite your friends/associates, have a drink on us, enjoy some food, socialize, and come enjoy the benefits of our Products Show and Program. Bring your business cards for great raffle prizes. As a reminder, all raffle winners must be present to accept the prize. No proxies will be accepted. "California High Speed Rail - Planning, Designing and Operating the Nation's First High-Speed Rail System"
Ms. Diana Gomez currently serves as the Central Valley Regional Director for the California High-Speed Rail Authority, working to bring the first high-speed electric passenger operations to California. Her top priority has been to deliver a system that is on schedule and on budget. 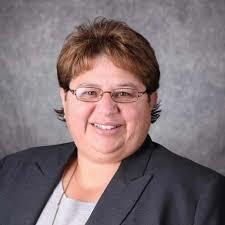 With more than 25 years of experience with Caltrans, Ms. Gomez has held various positions, including Senior Transportation Electrical Engineer and Chief for the offices of Traffic Management and Systems Management Operations. In 2011, Ms. Gomez was appointed as the Deputy District Director of Operations in Los Angeles, making her the highest ranking Latina engineer with the state Department of Transportation. She is also an active member of the Society of Hispanic Professional Engineers (SHPE). In 2005, she was named one of the “100 Most Influential Hispanics” in Hispanic Business magazine for her role as National President of SHPE. Ms. Gomez graduated in 1988 with a Bachelor of Science in Electrical Engineering from Fresno State.